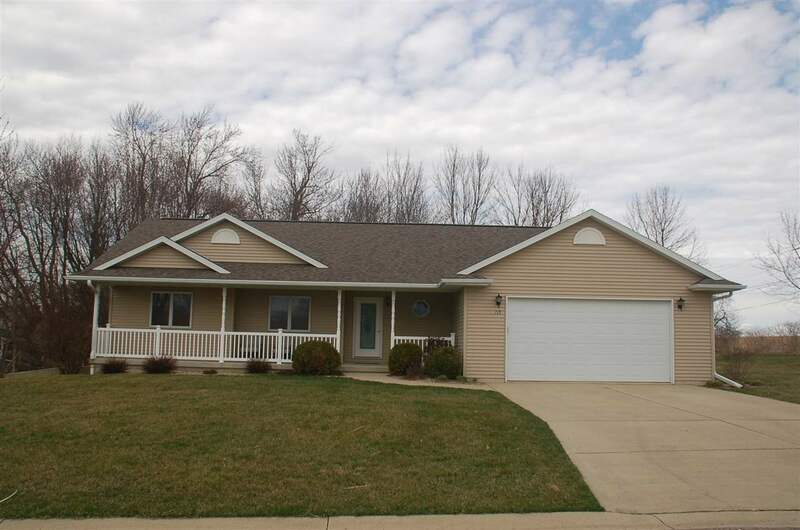 Like new ranch on edge of Oelwein. This well cared for 3 bdrm, 2 bath home is move in ready. 1324 square feet, built in 2006. This home has the open concept you&apos;ve been waiting for. Tray ceilings in living room and great kitchen layout. New flooring and fresh paint throughout. 1st floor laundry room. Master bedroom suite with walk in closet , full bath and jetted tub. The partially finished and dry basement is wide open, ready for whatever your family needs. Sump pump with battery backup. Furnace and air new in 2017. Over-sized 2 car attached garage. Maintenance free exterior with composite deck and covered front porch. You&apos;ll love the quiet and peaceful location. Don&apos;t wait, call today to see for yourself.